They're coming out of the woodwork left and right. make sense of how/why Facebook zoomed to the top. in their lives that would nail this as a direct hit. But already, that's quite a shocker. Where did you get this? Great find! What if somebody does not have children? What other methods could enable a being to replicate? Is some of the .4 those people who do not procreate? The Woman Who Lived Before from '07. 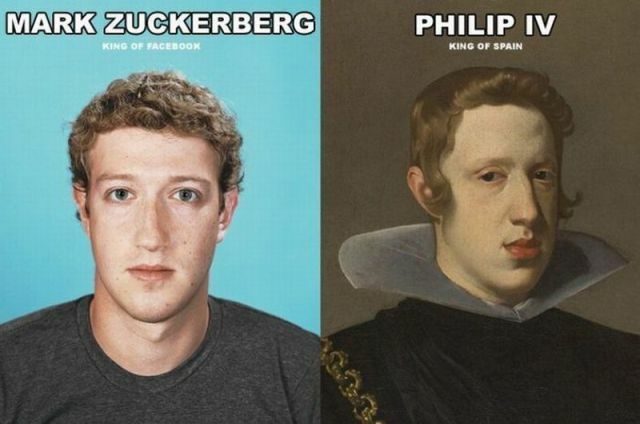 I found the Zuckerberg/King of Spain image posted on Reddit.com so I can't take credit for it. The physical resemblance is remarkable, but I haven't looked for parallels in their respective lives. a time-gap, worth a look. with the revolution to england by the Orange family). and also of e-commerce of the internet. similarities in the role(s) played by his royal highness King Zuckerberg IV. Bri linked to this previous audio. many lifetimes over the last thousand years. with now.... I see the whole thing as being parallel. Parallel lives.... It's like a never-ending web... "
in the context of the work of the late Dr. Ian Stevenson. to follow truth and reason to whatever results they led." We welcome written accounts of experiences of these kinds. by Dr. Ian Stevenson in 1967.
invariably confirmed in every detail. or to be in contact with Xenu. 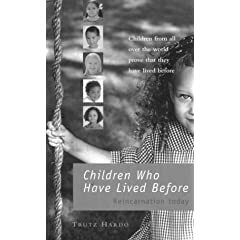 how many still hold past-life memories? been say...Abraham Lincoln, or to be in contact with Xenu. She sure seems sincere as heck to me. Posted: Sat Feb 19, 2011 11:27 am Post subject: Shopping list? Consider the need and the action becomes understandable. The disconnect (with our spiritual essence) is necessary for the maintenance of our material presence. As such, we are only able to deal with and through that presence. It only makes sense that that presence would have the required tools and talents to get the job done. So, we have to "get ourselves together" to start the job by commencing the journey. What do we pack in our kit bag? Why the tools of our trade. One saw looks pretty much like another, but each has a specific function (keyhole, wood, metal etc.) that we have to learn how to use and then employ. That there be a genetic phenotype for each function is reasonable. You look at the form and function is obvious. Your memorial baggage is related to your planetary purpose. The "one-stop-shop" gets you what you need, but cannot do the job for you. Our experiences describe our journey as well as our mandate. We come back as many times as needed to get the job done. The payoff comes once the job is finished, in the mean time (and in-between times) we advance as best we can by enduring the time required for the movement involved.